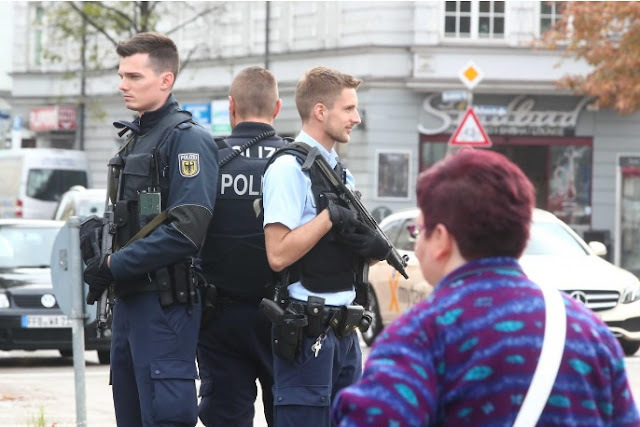 MUNICH - A man injured four people with a knife in the German city of Munich on Saturday and police detained a suspect matching descriptions by witnesses. Police had urged people in the Bavarian capital to stay home after a man on a black bicycle injured the four and attempted to stab two others. “We have arrested a person who very strongly resembles the description by witnesses, but we cannot confirm that he is the attacker,” Martins said. Police had described the suspect as a corpulent, unshaven man around 40 years old with medium-blonde hair. Martins added that police were not sure what the attacker’s motive was and that they would only name the detained suspect once they had determined that he was behind the attack. Police believe the man, who seemingly randomly attacked people at several different locations, acted alone. A man injured four people with a knife in the German city of Munich on Saturday and police detained a suspect matching descriptions by witnesses. Police had urged people in the Bavarian capital to stay home after a man on a black bicycle injured the four and attempted to stab two others.